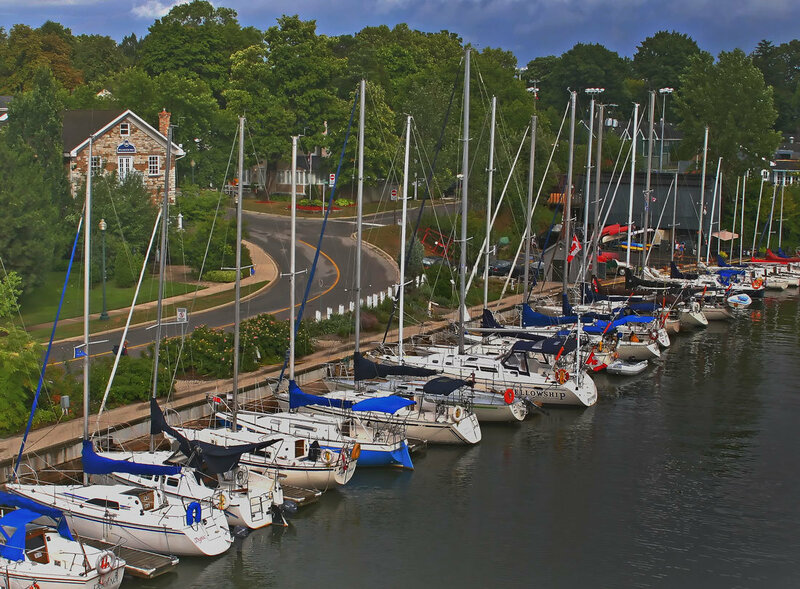 It was the endless business potential of the Oakville harbour that caught William Chisholm’s eye, unlike most others who were infatuated more by the breathtaking scenery. 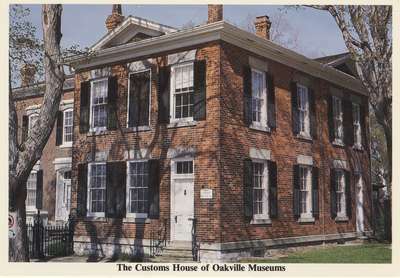 After purchasing the land, Mr. Chisholm put in an immense amount of time and labour in which the benefits were reaped in 1834 when Oakville became an official Port of Entry into Canada. This port, residing in the Town of Oakville, was the only harbour in Upper Canada that was constructed under contract by a private individual. 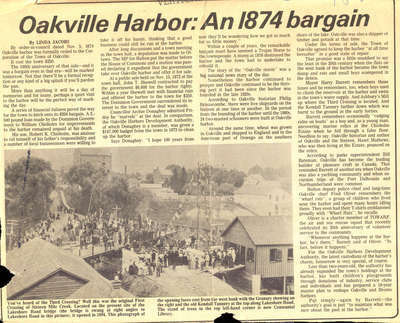 Although the harbour proved to be very prosperous, ownership passed through several hands over time, and was eventually sold to the Corporation of the Town of Oakville for a bargain price of $250 on November 5, 1874. Oakville and the surrounding area proved that they had many exports to offer – in 1840 alone, 31,000 cubic feet of pine and oak timber were shipped to various parts of Europe and the United States from the Port of Oakville. As trees were cut down, the land was then cultivated making room for a new product of export – grain! In 1850, the Port of Oakville shipped 165,839 bushels of grain to various countries around the world. To cope with the quick expansion of the harbour, William Chisholm became the first customs inspector of the port and in 1856 the Customs House was built at 8 Navy Street. With the development of this new building, business could be increased as the harbour could now handle a greater capacity. The acquired building provided space for two offices; one for customs purposes and the other for a bank. R.K. Chisholm (son of William Chisholm) took over from his father and was the Customs Collector for the next fifty-two years. The majority of the space inside the Customs House was occupied by two large brick vaults of which the walls were 2.5 feet thick. Several grain storage houses were developed at the time along the waterfront to hold goods until they were ready to be shipped. 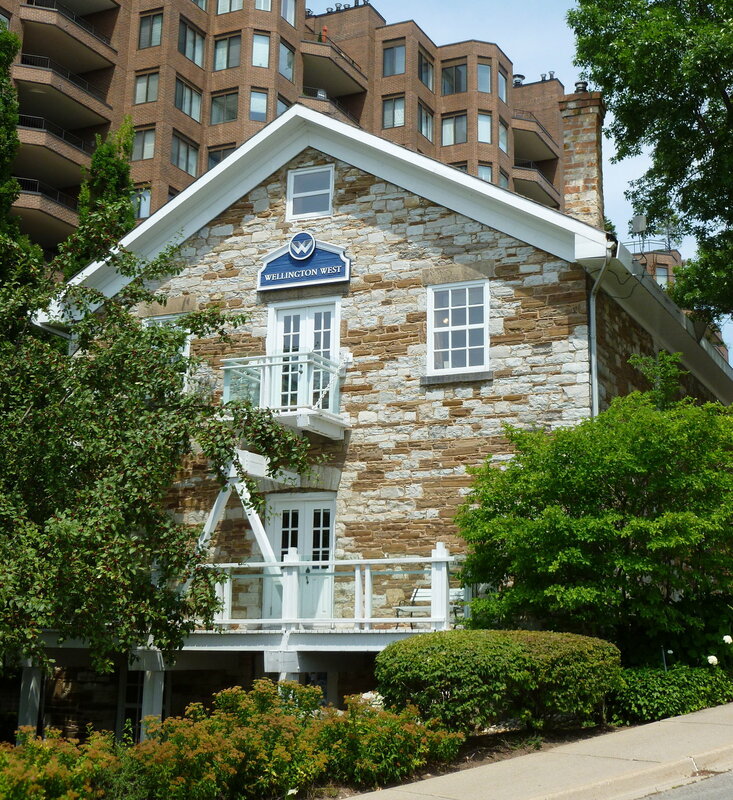 The only stone warehouse still remaining in its original location is The Granary (located at 103 Robinson Street), built in 1855 by Romain and McDougald. This grain storage house was built by highly skilled workers to withstand the test of time, with the majority of the walls being upwards of two feet thick. Sometimes deceiving, The Granary is actually three full stories and a loft. When the grain was delivered, it would be measured by workers and then sent down chutes to a floor below to be bundled. However, as the grain trade began to diminish, The Granary was no longer needed. The building is currently being used as offices. Resulting from the immense success of the harbour, numerous other industries were attracted to Oakville. One example was the manufacturing of steam engines and ships. John Doty and R.K. Chisholm, founders of John Doty & Company, produced mill equipment and steam engines, providing jobs for many. 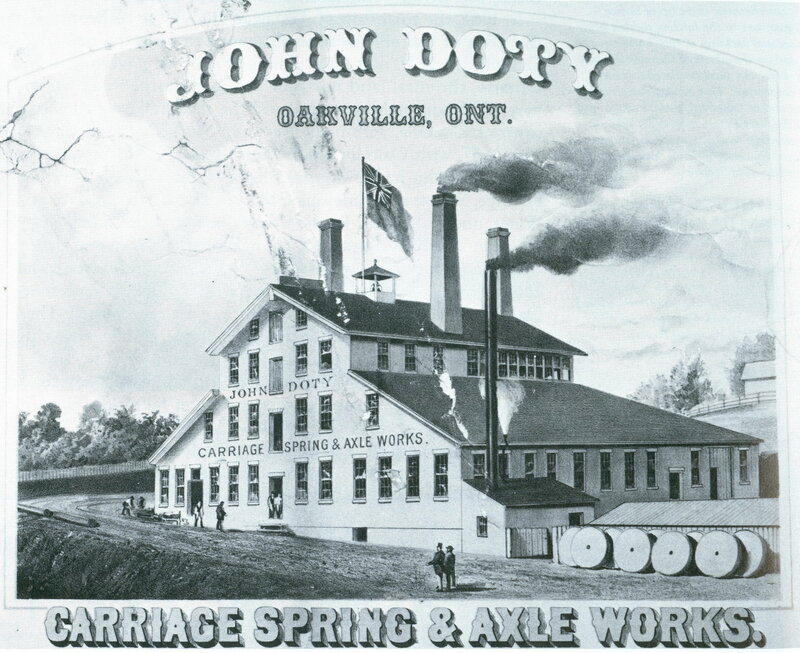 John Doty is known for creating and patenting the carriage axle, a product never seen before. Shipbuilding was also very popular. Between the years of 1830 to 1867, 50 ships were completed in the Oakville harbour. The first steamship was completed in 1833 and named the Constitution. Later, the first schooner, the Trafalgar, was finished in its entirety in the shipbuilding yard in 1928. In the 1930s, the last load of coal was unloaded, signifying the end of the harbour’s commercial use. At this point, the Customs House was no longer needed. Over the years it has been a private residence and is now open to the public as a museum. 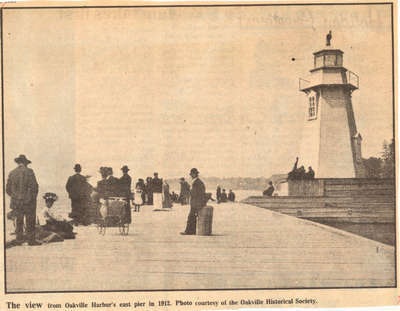 In 1937, Oakville was declared no longer a Port of Entry after 103 years in operation. The use of the railroad became more prominent, replacing the need for the harbour. 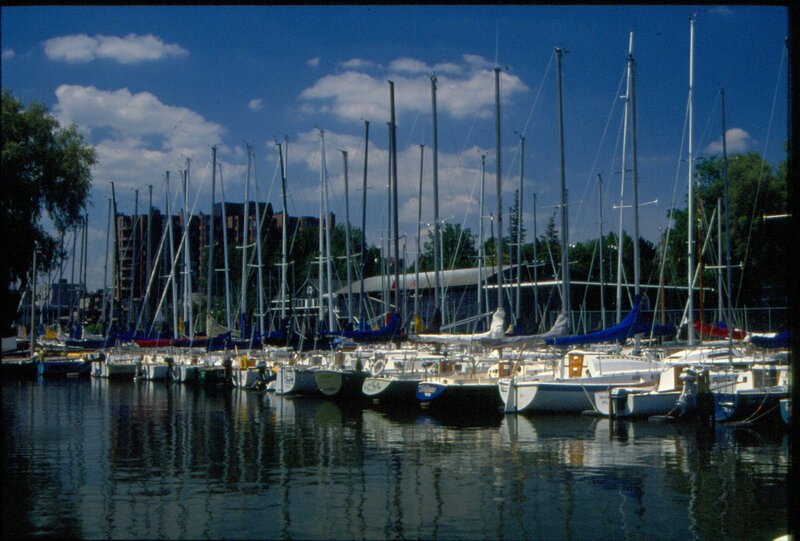 Nowadays,with the scenery as beautiful as ever, one can see a variety of sailboats and other small boats in the Oakville harbour. This information is credited to: Ahern, Frances Robin. Oakville: A Small Town (1900-1930). Erin, Ont. : Oakville Historical Society in association with The Bostom Mills Press, 1981. Print. and to: Bell, Marilyn. "Oakville - Where Word of the People is Good for a $100,00 Bank Loan." The Telegram [Oakville] 8 Sept. 1951: 3. Print. and to: McKeon, Clare and Joseph P. McKeon. Oakville, A place of some importance. Burlington, Ont. : Windsor Publications, 1986. Print. and to: Peacock, David and Suzanne Peacock. Old Oakville. Willdowdale, Ont. : White/Hounslow Productions, 1979. Print. and to: 150 Years: a commemorative publication. Oakville, Ont. : The Oakville Beaver, 2007. Print.